Updates to Sara B. 's profile since your last visit are highlighted in yellow. Office Manager and Licensed Insurance Rep for 17 years in Denny's agency. Currently employed at the Aurora Clinic in Plymouth. We have done some traveling. Went to Alaska on cruise, Jamaica, Arizona (Grand Canyon), Colorado, Florida and Maine. The most memorable was when we went to Vermont and eloped. Shocked the heck out of our family and friends. Now we are touring different parts of Wisconsin. I have one granddaughter, Veronica, 12 years old. I am so excited. Just found out that I am going to be a grandma again. Baby is due early July. Even more exciting news. The ultrasound shows I will have a grandson in July. I feel so blessed! Of course, this grandma has already started to shop and loving every minute of it. I will spoil this one just like I continue to spoil Veronica. Hey - what are grandparents for, right??? Dyllan Joseph Thrall was born on 7/4/2013 at Aurora Sheboygan Memorial Hospital. He was 8 lbs and was 21 inches. He was just baptized this past Sunday, 8/11/2013. He is such a joy and a sweet "little man". Another grandchild to spoil. Loving it. Wow - I can't believe how time flies. My grandson Dyllan turned 1 on the 4th and is just starting to walk (5 or 6 steps in between furniture) and we enjoyed his party at Green Lake Campgrounds. He is so much fun and I try to spend as much time with my grandchildren as possible. My granddaughter Veronica graduated from junior high on the high honor roll and will start high school in the fall. She keeps reminding everyone that she will be able to sign up for driver's ed. Hope she drives as well as she does in school. Wishing everyone a great time at the picnic. Unfortunately I will not be able to attend. I spent the last 14 days in the ICU at St. Lukes. I had 2 strokes. I am home now but get tired very quickly and trying to get my strength back. God surely was with me. My family was told that I might not make it through the night an that was on July 5th. I will never take life for granted again. Enjoy every day and make sure you tell your family and friends how much you love them even if you assume they already know. It's hard to believe how fast time goes by. My granddaughter Veronica will be 17 this October and my grandson Dyllan will be 3 on July 4th. And yes he is a little firecracker. Denny and I will be spending our wedding anniversary in Lake Geneva in September. Just something simple but enjoyable. I am looking forward to our class get together in September, too. Just a FYI: I am on Facebook so anyone who wants to send me a friend request it's a nice way to keep in touch. Life keeps moving at a very fast pace. My grandson Dyllan will be 4 on July 4th and my granddaughter Veronica is officially a senior and will be 18 in October. She is applying to UW Oshkosh and I couldn't be more proud. I'm just sad to see how fast she grew up. It is with a broken heart that I have to update my profile. My husband Denny passed away on October 5th at Saint Luke's Hospital in Milwaukee. I cannot express how lost and empty I feel. There is now a void in my life that will never be filled. Always tell your loved ones how you feel. I loved going to the football games and pep rallies. School dances were always a great time. Sara B. Trupp Gutman has a birthday today. 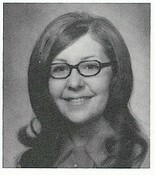 Sara B. Trupp Gutman updated profile. View. 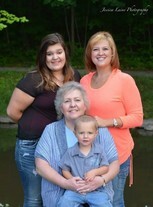 Sara B. Trupp Gutman added a comment on Profile. Sara B. Trupp Gutman added a photo to profile gallery. 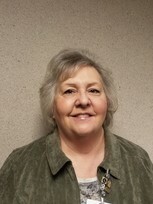 Sara B. Trupp Gutman changed "Now" picture. Sara B. Trupp Gutman has left an In Memory comment for Frederick E. Bahr (Driver Education). Mr. Bahr made Driver's Ed fun as well as being educational. Even though I didn't pass my road test on the first try (they didn't like that I couldn't parallel park my dad's Ford station wagon ) I did pass it a week later. Mr. Bahr was very patient considering he had 3 teenagers in the car. He was an excellent instructor. Rest in Peace. Sara B. Trupp Gutman changed profile picture. Sara B. Trupp Gutman posted a message. Happy Birthday Ann. Wishing you a wonderful day and many more birthdays in the future. Happy 61st Birthday Gary. Wishing you many more. I am just 2 1/2 weeks behind you. Life is amazing so enjoy it to the fullest.